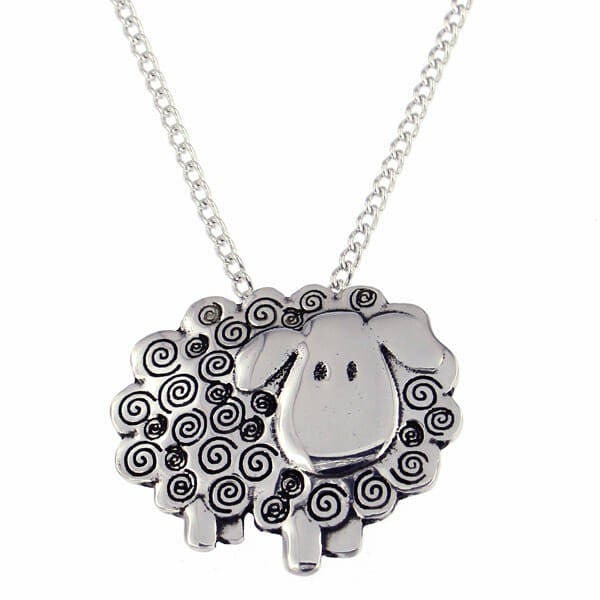 Swirly Sheep pendant – A cute pewter sheep pendant on a tin plated curb chain. As with all St Justin products, this item comes with a lifetime guarantee. If there is a fault in the workmanship, we will repair or replace it free of charge.